On the 27th of December 2017 the refugee camp in Katsikas, northern part of Greece, was re-opened and re-filled with around 350 people from different parts of the world. That means that our intercultural FabLab, Habibi.Works, across the street is now busier than ever. Together with the people from the camp, we have decided to participate in Olympia Half-Marathon to raise awareness about the situation of refugees in Greece and the basic human right of freedom of movement. In total, 20 runners from Camp Katsikas and Habibi.Works want to participate in the half-marathon in Olympia. For that, we want to raise € 3.090 to enable people from Camp Katsikas to run for their right to freedom of movement. The money raised will cover all the costs for participating in the run. That includes: registration fee, transportation, accommodation, food and running gear, part of which will be self made in Habibi.Works. Every cent that will be raised on top of the costs for the run, will go directly into realizing people’s projects in our maker space Habibi.Works. In case we do not manage to fundraise the target amount, the costs will be covered for as many people as can join with the fundraised money. Help us make sure all the 20 highly motivated and enthusiastic runners can participate! We will be running the Olympia Half-Marathon in the historic ancient city of Olympia. For all the supporters who want to encourage the runners during the race, we will cheer together at the finish line in Ancient Olypmia. Support the runners in their quest to run for their right to movement at the Olympia Half-Marathon. Ahmad is from Syria, Aleppo. He is 22 years old. In Syria, he owned a supermarket. He left Syria in 2016 and has been in Greece since June 2017. "This half marathon represents a goal for me and I will do my best to get there. 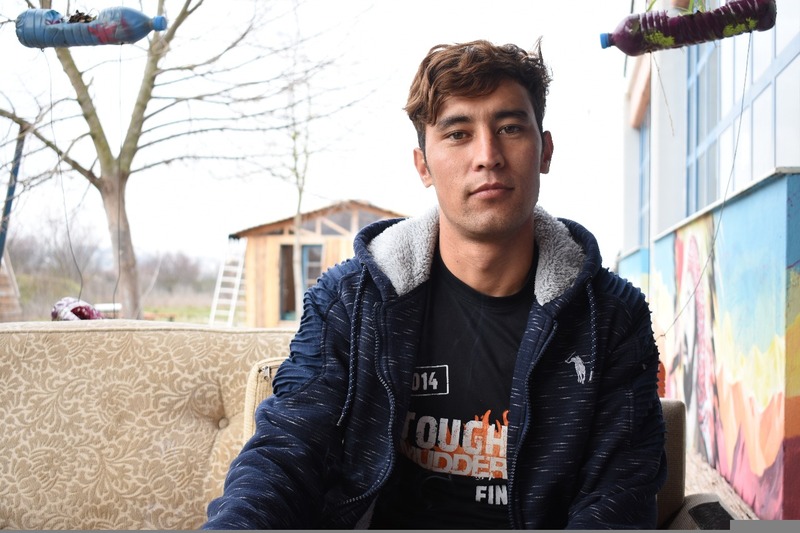 The possibility to run represents the freedom of movement that most refugees do not have in Greece"
Mustafa is from Afghanistan, Ghazni. He is 25 years old. In Afghanistan he studied Physics at Kabul University. 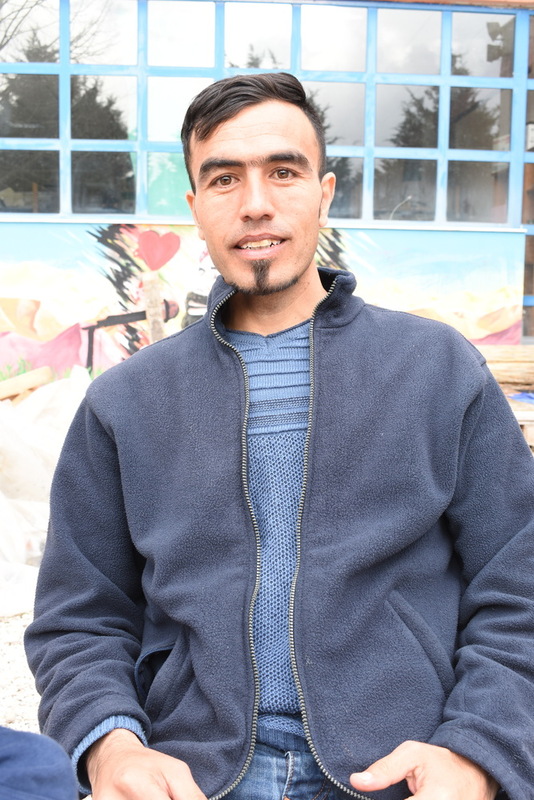 He left Afghanistan in August 2016 and has been in Greece since then waiting for asylum. "Running benefits our health and it is also for peace. We run to enhance our psychological power. Being able to move freely enables the mind to forget about the situation people are in, in Greece"
Ghazem is from Afghanistan, Mazarshrif. He is 32 years old. Before coming to Greece, he worked as a welder. He left Afghanistan in 2004 to Iran. In August 2017 he left Iran and has been in Greece since then. "I run for my health. I just want to be healthy. Also, we need to spread the word that people are still living in camps, their lives put on hold and they are just waiting until decisions are made for them"
Baktash is from Afghanistan, Baghlan. He is 20 years old. In Afghanistan he worked as a tailor. He loves sports and has been doing Muay Tai for many years. He left Afghanistan in August 2017 and has been in Greece since then. "It is a benefit for my health and I want to be proud of myself. We are running as a symbol of freedom of movement. Unfortunately, we do not have freedom of movement"
Husseini is from Afghanistan, Samangana. He is 24 years old. He grew up in Iran and came to Greece October 2017. "I like exercising and running. It is good for my health. I am stuck in Greece and moved around from camp to camp. None of that is my choice. Participating in the run is my choice. I am choosing to run"
Samat is from Afghanistan, Maydan Wardak. He is 25 years old. In Afghanistan he was a commandor in the army. He left Afghanistan in October 2017 and has been in Greece since then. "I like to run and be healthy. It is good for my body. I will run to open peoples eyes to the fact that the 'crsis' is far from over. We are still stuck in Greece with very little hope to go anywhere else"
Elske is from the Netherlands, the Hague. She is 27 years old. She has been working in Habibi.Works since she came to Greece on a bicycle in June 2017. "I want to run because it is a great way to relax my mind and interact with our amazing neighbours from camp Katsikas. It is a great way to bond with people and strive for a common goal. Furthermore, I think it is very important that the situation of refugees here in Greece is adressed. People in Europe seem to have forgotten about them, but at the same time they are still here, stuck in Greece without any freedom of movement." Kiki is from Germany, Berlin. She is 27 years old. She is working in Habibi.Works and has been in Greece since February 2017. "I want to run to raise awareness for peoples' situation in Greece and stand in solidarity with people who are stuck here against their wil. Moreover, running helps me to stay fit, is an outlet to keep me balanced and is a great team building experience"
Dia is from Palestine, Tabariya. He grew up in Syria, Damascus in Yarmouk Camp. He is 27 years old. He used to work as an electrician and played football professionally. He left Syria in 2012 and came to Greece in July 2017. "Running helps me to get rid off stress and anxiety. It gives the person a decent look and gives him good physical fitness. I want to run for freedom of movement because it unites cultures among people"
Morteza is from Afghanistan, Daikondi, but grew up in Iran. He is 21 years old. Before he left Iran, he graduated from High School. He left Iran in October 2017 and has been in Greece since then. "Running benefits my health and my aim is to win the race. In the past I was the champion in badminton in Turkey. Here, I want to continue sport. I want to run for my freedom of movement because everyone should have the right to move freely". Eugene is from Cameroon, Baminda. He is 30 years old. In Cameroon, he was working as a car mechanic. He left Cameroon in 2016 and came to Greece November 2017. "I want to run the Half-Marathon because it takes my mind of the continuous boredom of living in a camp. I want to participate in this specific run because I think everyone should be able to move freely as a human being". Abbaas is from Syria, Aleppo. He is 19 years old. In Syria, he played football professionally with Halab Al-Tehat. 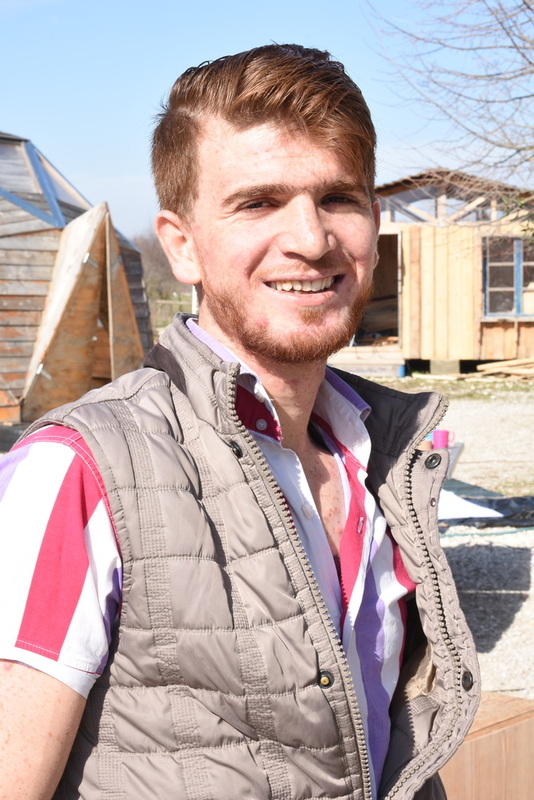 He left Syria in October 2017 and has been in Greece since then. During the last two years in Syria, he was not able to play football because of the war. "I want to participate and get up my fitness so that I can play better than before. My passion is to be able to play for Borussia Dortmund. Playing sports is my dream and I want to become a good football player"
More than two years ago we set up our nonprofit organisation - Soup and Socks e.V. - as a response to the influx of refugees that were, and still are, stuck in Greece. Powered by Soup and Socks, in Ausgust 2016 we set up Habibi.Works - a FabLab of freedom in Katsikas. Habibi.Works provides a platform for education, empowerment and encounter. The workshop spaces (kitchen, wood workshop, metal workshop, silkscreen printing, creative atelier, beauty salon and Media Lab) allow both people living in the nearby refugee sites in and around Ioannina and Greek locals to get active and unfold their potential, to share their knowledge, to gain new skills and to create useful items which facilitate their daily life. Our main approach is not to do something for the people, but together with them. Our focus is to provide and manage the platforms that allow to get active, express creativity and to unfold potential. We hand over as many responsibilities as possible to the users and especially try to include people from Greece into the team. In day to day operation we support the makers in implementing their ideas and always prefer to teach a skill instead of executing an actual task on their behalf. Due to the ever-changing conditions we also remain flexible to adapt to the needs of the communities. Have a look here at what we have achieved so far. Unfolding the potential of people. It works. 03-04-2018 | 09:00 Thanks again for your donation to the Run For Freedom of Movement. It was an amazing weekend. The sun was shining, people were cheering on the side of the road, and the route was beautiful, with as cherry on the cake the finishline in ancient Olympia. All runners were super motivated and very happy to be able to participate in this event and to be away from the daily challenges in the camp. Without your help we could not have done this. We hope this is just the first of many more similar events for this unique team.